The Toas-Tite grill itself was originally envisioned as a new way to eat and enjoy leftovers. But when you make a Toas-Tite sandwich today, you end up with extra bread trimmings. So what do you do with those? Well…there are lots of options. You can use the extra bread to plug holes in the walls, as earplugs…. Or you can cook them up into something delicious like stuffing (even if it’s after Thanksgiving) or bread pudding. For today’s recipe, we’re going with that last one. It makes a fantastic addition to any brunch or any mid-night snack, especially when made with tons of love. My grandmother cooked amazing comfort food. 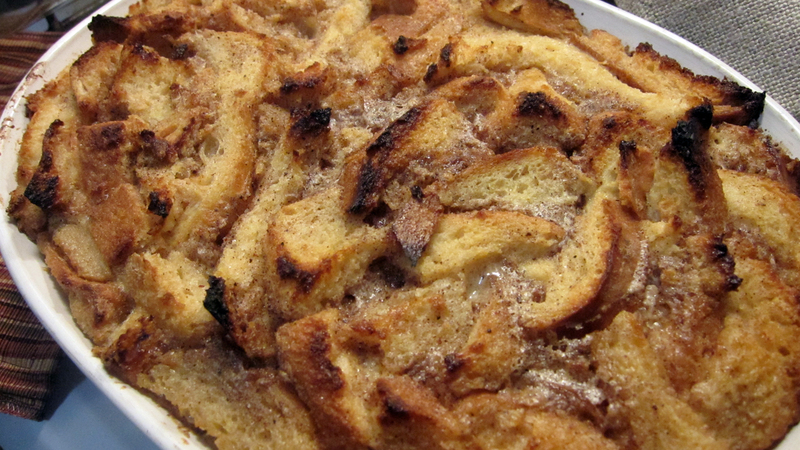 Potato casseroles, meatloaf, turkey soup, and of course, bread pudding. 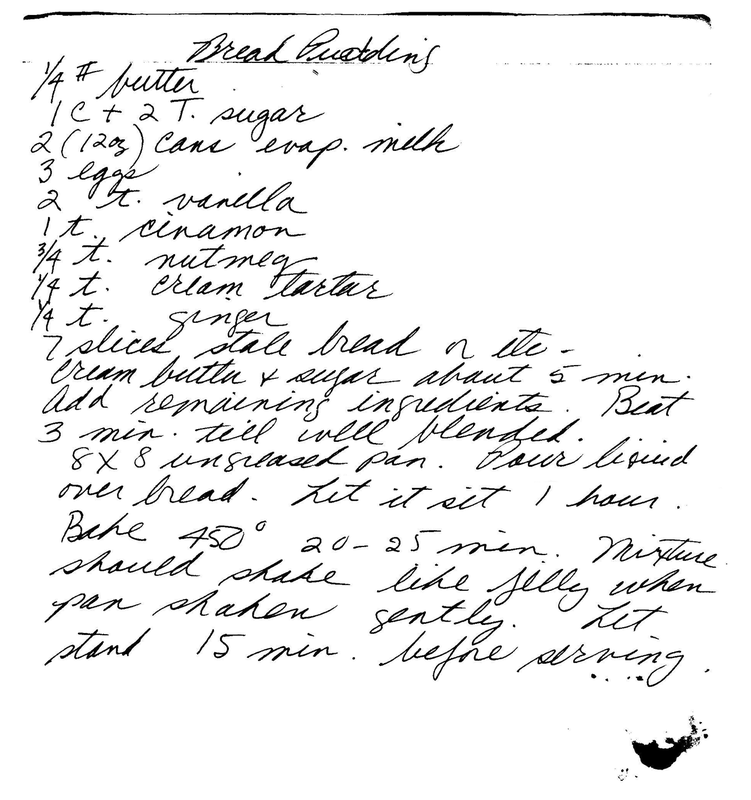 Here is her recipe in her own hand (followed by our slightly expanded version). It is sweet, cinnamon-y, warm, delicious, and always, always full of love. Using a mixer fitted with a whisk attachment (if you have it), cream the butter and sugar together until smooth, for about 5 minutes. Add the evaporated milk, eggs, vanilla, and spices to the butter and sugar and beat until well blended (approximately 3 minutes). 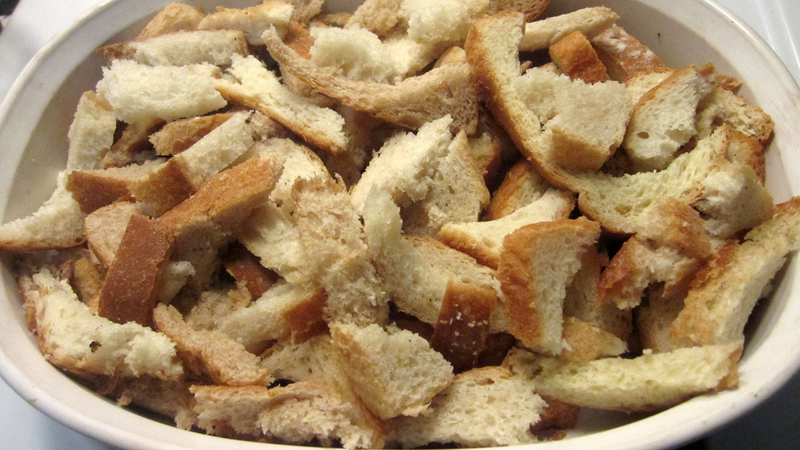 Place your bread trimmings in an ungreased pan or casserole dish. Pour the liquid mixture over the bread and let it sit for 1 hour. The mixture should shake like jelly when the pan is shaken gently. As we mentioned in the ingredient list, 7 slices of bread are just about equal to 7 or 8 Toas-Tite sandwiches. That means for each Toas-Tite you make with 2 slices of bread, you end up with about half a slice of extra bread trimmings. Even if you don’t make 8 Toas-Tites in one sitting, have no fear. In a Ziploc bag, your bread trimmings can last for a long time in your freezer until you have accumulated enough to make pudding.